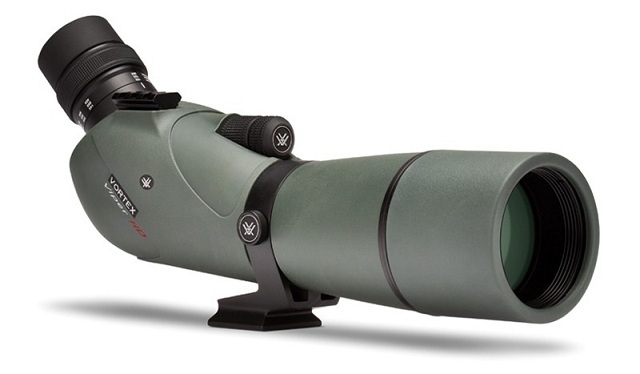 Pick out the detail you need with the compact Vortex Viper HD 65mm spotting scope at your fingetips. XR anti-reflective coatings team up with HD (High Density) extra-low dispersion glass for impressive resolution, colour fidelity, and maximum brightness. Meet challenging conditions with confidence thanks to the superior fogproof and waterproof performance of the rugged Viper. HD Lens Elements HD (High Density) extra-low dispersion glass delivers the ultimate in resolution and colour fidelity, resulting in High Definition images. Twists up and down for comfortable viewing with or without spectacles.